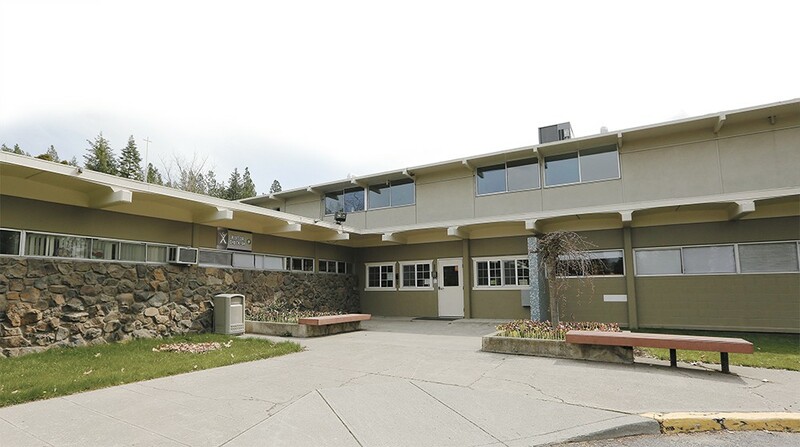 Excelsior Youth Center in northwest Spokane is the state's largest Behavioral Rehabilitation Services facility. By February 2017, there was nobody left to take care of Timothy Moore, a 15-year-old boy without a home. 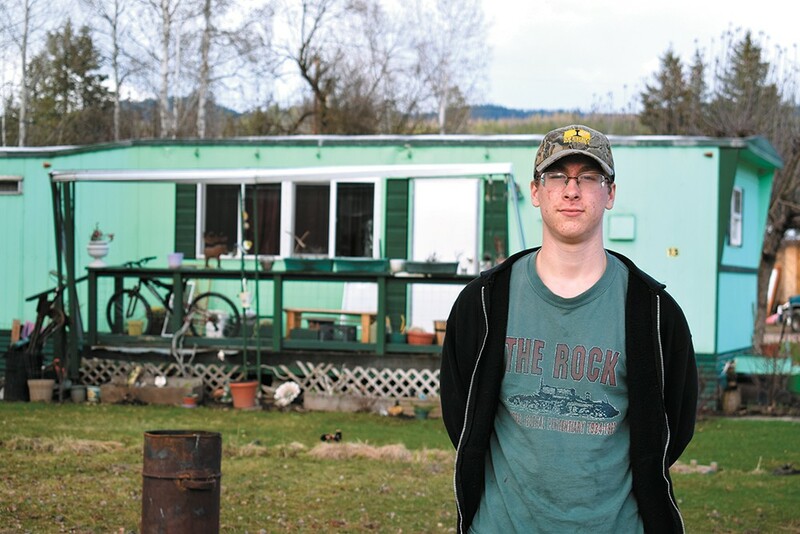 After he was taken from his family, put into foster care and thrown in jail, the state of Washington hatched a plan: ship Tim 1,500 miles away to Iowa and a place called Clarinda Academy, a foster care facility for "delinquent" youths. Tim had already been to a place like that in northwest Spokane, Excelsior Youth Center, which specializes in treating foster kids with mental and behavioral health issues. But there, things only got worse. Within weeks, he was running away. Within months, he was racking up his first-ever criminal charges. Within a little over a year, he had spent 100 days in juvenile detention, and Excelsior wouldn't take him back. It's a cruel fate for many abused and/or neglected kids in Washington like Tim, who end up languishing in foster care and eventually turning into criminals. Currently, there are around 50 foster kids who have been sent out of state because their needs are so intensive that nobody in Washington would take them. "This whole continuum of care in the state is stressed," says Connie Lambert-Eckel, Washington State Department of Social and Health Services' director of field operations. Excelsior is often the last chance for a foster care system that has failed to reach the neediest kids, frequently accepting kids no one else will. Indeed, it's the state's largest Behavioral Rehabilitation Services facility, housing youth from all over Washington. But Excelsior has come under intense scrutiny recently. On the one side, neighbors complain about runaway kids and the drain on police resources. On the other, juvenile attorneys argue that their clients turned to crime after coming to Excelsior, and question whether foster kids should be put there long-term at all. For some kids at Excelsior, their behavior only gets worse, and officials take the extreme step of shipping them out of state. Unless, like Tim, they find a way to escape the system entirely. In February, Tim found out that his mom, who he hadn't seen or heard from in years, lived 160 miles away, in Libby, Montana. He escaped the care of his social worker, and started his journey across rugged wilderness in the middle of a harsh winter. With nothing but the clothes on his back, he began his long walk home. Tim Moore hiked for more than three days to find his mom in Libby, Montana. 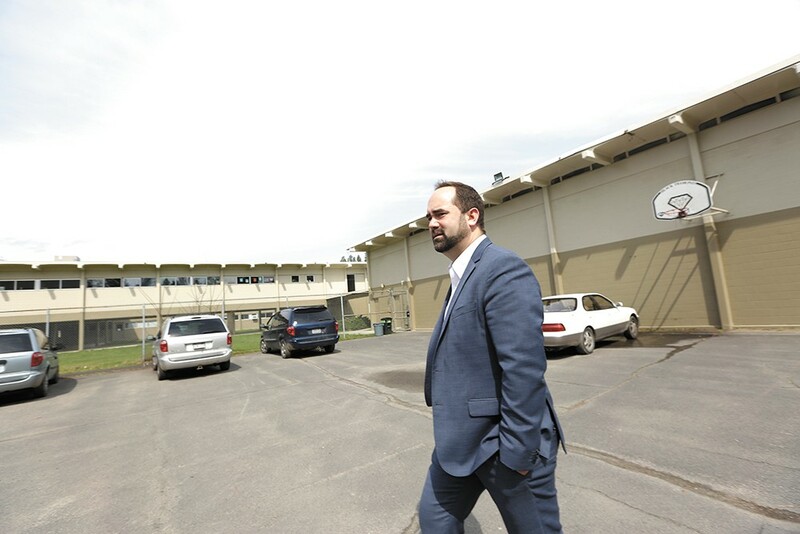 Andrew Hill, Excelsior's executive director, says he is sick of the headlines, as he walks through what's become a controversial facility near the Indian Trail neighborhood in northwest Spokane. Local TV stations focus on neighbors complaining about kids escaping and damaging property around Excelsior. The daily paper writes about Excelsior draining police resources; it's second only to the county's Public Safety Building in calls for service. Then, in December, the community is stunned by the news that a 10-year-old girl snuck out of Excelsior and was allegedly raped — twice — by a 13-year-old boy. Hill doesn't dismiss those concerns, but he says more focus should be on the positive work that Excelsior does. "In the last five years, we've served over 310 kids in this program. Ninety percent accepted treatment, or we helped them transition to their next sort of placement," he says. Excelsior, a private nonprofit, currently has 26 kids in its residential child welfare program, and it has a 50-bed capacity. Overall, about 180 kids use Excelsior services. That's counting outpatient rehabilitation services for drug abuse, mental health and behavioral health. In terms of the number of beds for Behavioral Rehabilitation Services, other facilities like Ryther and Navos, both in the Seattle area, rival Excelsior's capacity. But Excelsior is more of a "brick and mortar" group home than others, says Lambert-Eckel, with DSHS. All of the kids are on one campus, in different units of eight to 10 individuals. 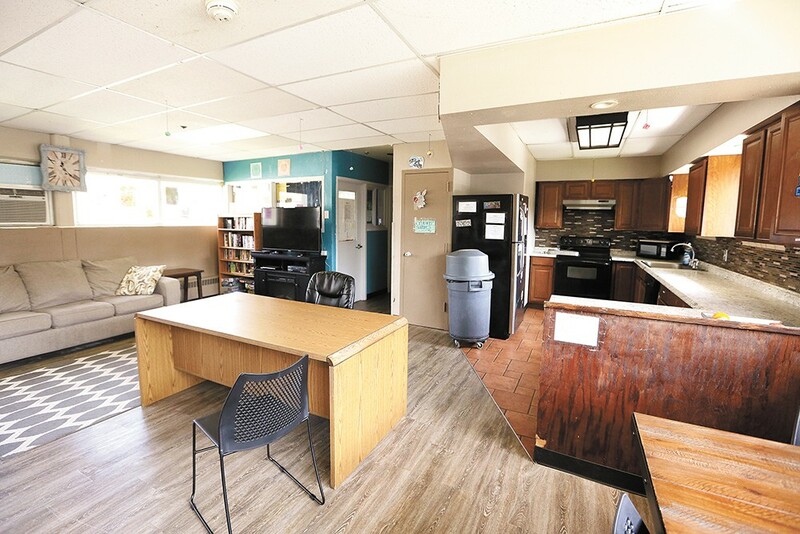 Other group homes with large capacities, like Ryther, structure themselves differently, with smaller campus residences and fewer kids living together in one location. "Excelsior is unique because of its location, its history, and the nature of its facility in taking some of the most difficult-to-serve kids in this state," Lambert-Eckel says. There are around 600 kids in Behavioral Rehabilitation Services facilities like Excelsior statewide. Just under half, or 46 percent of foster kids in BRS, run away from their placement at some point, and one out of three spend time in juvenile detention while calling a residential treatment facility home, according to DSHS. By contrast, only 5 percent of foster kids run away if they instead only live in smaller, more traditional foster homes. Less than 2 percent of those kids go to jail. But kids running away is more of an issue at Excelsior than anywhere else, Lambert-Eckel says. Excelsior, like any group home, can't legally stop kids from running away, under state law. Kids can, and do, simply walk out the door at night, though most eventually return. Most of Excelsior's nearly 4,000 calls for Spokane Police Department service in 2015 and 2016 were calls for runaway kids. It's reason enough for DSHS not to place kids who have a history of running away at Excelsior, Lambert-Eckel says. Excelsior's problem with runaway kids might have to do with its location, she says. When it was built in 1959, it was far from any urban development. Now, it's a desired neighborhood, with plenty of businesses nearby. So compared to a more remote location, the kids at Excelsior actually have something to run to. And once they're on the street, they're more likely to commit crimes. But those who work with kids in the legal system point out other factors. Michelle Ressa, a Spokane County court commissioner, suggests that group homes are more likely to call police for something that in a family setting would result in, for instance, a child being grounded. "I have seen examples of kids throwing food, and police being called," Ressa says. "I don't think that would happen with Mom and Dad." From April 2016 until April 2017, 44 different Excelsior kids were sent to Spokane County Juvenile Detention, according to Bonnie Bush, juvenile court services administrator. Many of those kids were sent to jail more than once. "I haven't seen that what's happening at Excelsior is working for the majority of kids," Ressa says. Local public defenders who represent these kids say they consistently notice their client's criminal history starting or getting worse once placed in a group home. Mike Elston, a Spokane County public defender, says he has four clients who are group home residents, and together, 90 percent of their pending charges come from incidents against the group home or its employees. For those clients, about half of their criminal history prior to those charges came from group homes. Through court records, the Inlander has identified three kids with pending charges from Excelsior in the past year whose criminal history either entirely or mostly resulted from incidents in a BRS group home. One 16-year-old boy had no prior criminal history, then in November 2016 faced multiple charges for allegedly damaging a door with a garden hose, throwing around items including a lifeguard tower, then threatening to stab Excelsior staff members with a screwdriver. A 16-year-old girl had multiple charges; all were from group homes. At Excelsior last April, she was charged with assault for swinging belts at staff trying to restrain her. A third kid, a 13-year-old girl, had only a minor offense in diversionary court in a different county before going to Helping Hands, a smaller group home in Spokane Valley, where she was charged with assault for spraying someone with a can of Febreze — causing another kid to have an asthma attack — and head-butting staff who were trying to restrain her. When she got to Excelsior, she was charged with felonies and started sneaking out at night with other kids. They would all take cold and flu medicine — which they call "Triple C" — to get high. Lambert-Eckel points out that Excelsior and these group homes are required to call police when kids run away, and that assault is by definition criminal behavior. But Krista Elliott, a Spokane County juvenile public defender, says she sees group home kids treated more harshly, which prevents them from going to other places that may provide more stability. "They are not going to go back to a foster home when they had four other assaults [on their record]," Elliott says. "They are going to continue in juvenile detention or in a group home." Brooke Foley, a Spokane County public defender representing juveniles, says the problem is that kids are put in these group homes, especially Excelsior, in the first place. "I think it's borderline negligence for the state to put them there, when they know this is happening," Foley says. Hill, the facility's executive director, counters that, in his view, only a small percentage of kids see their criminal issues spiral at Excelsior. He strongly resists the idea that kids turn into criminals while they are there, noting that these kids typically have a multitude of behavioral and mental health issues, and many already had criminal histories. "Whether or not it happens when they lived with you, or they lived with me, doesn't make you or me the reason they're making negative behavior choices," Hill says. "Their choices are a result, again, from their disabilities. Their choices, again, are from their abuse and neglect histories. Their choices, again, are from the learned environment, which was not what we would call orthodox." Hill agrees that the kids should not be criminalized for behaviors related to their disability, but he says that's out of Excelsior's control. Ultimately, he says, that's up to the justice system, and he argues that the justice system should take a tip from schools in not punishing kids for their disability. "If a student is in an education system, and in special ed or has a [disability], it is illegal to punish them or discipline them for behaviors related to their disability," Hill says. "But I'm not sure how equitable it is in juvenile justice." Given the trauma these kids have faced as a result of abuse or neglect, however, Ressa, the county court commissioner, says these behaviors are entirely predictable. Instead of addressing underlying issues, she says, kids are being punished. "We are punishing them for acting exactly as we could predict given their traumatic experiences," Ressa says. "I'm not convinced that putting our kids with the highest needs all together is the best approach." At Excelsior, units house eight to 10 kids, who all share a common living area. "Timothy Moore's case, I think it's fair to say, has been a pretty tragic one," said Katie Maucione, an attorney representing him during a recent hearing. The criminal charges against Tim only started after he was placed at Excelsior in December 2015, but the trauma and abuse started long before. 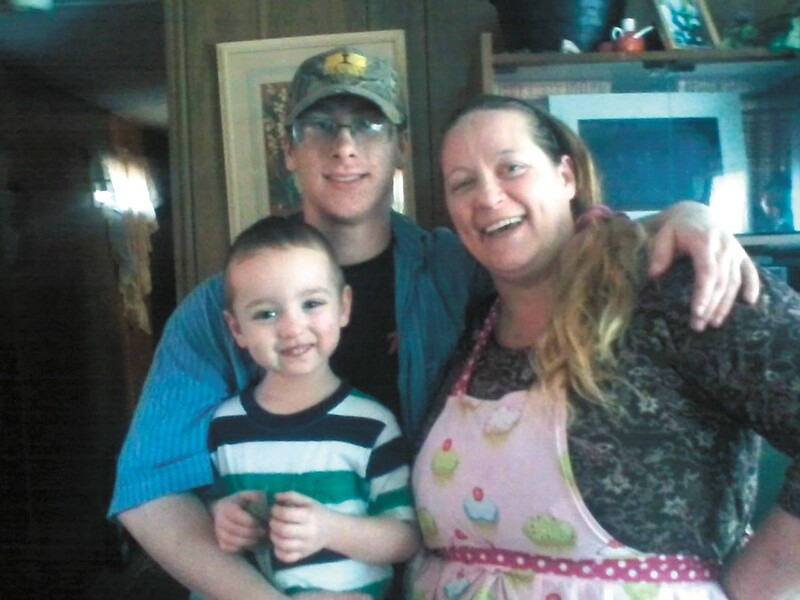 Tim grew up in Montana with his mom, Lynnette Haines. There, he saw her repeatedly beaten in a violent relationship, a situation that at times became life-threatening for Haines, she says. Unable to get away from the man, Haines felt she had no other option but to give Tim to relatives in Washington — something she had tried to avoid. "It was the lesser of two evils," Haines says of placing Tim with family. "They were supposed to love these kids." Tim ended up at a foster home, but he was later expelled from school and therefore expelled from the home. He spent about a year in various psychiatric centers. He was diagnosed with bipolar disorder and post-traumatic stress disorder. He went to live with his sister, who's in her twenties. When that didn't work out, the state thought that a more therapeutic setting like Excelsior could help and enable him to reintegrate back into his sister's home. To be placed at Excelsior, the state has to prove that a kid has demonstrated "severe and extreme" behavior on a daily basis. On average, kids in Excelsior's residential child welfare program have already been placed in an average of 14 different foster care environments before coming there. In that sense, Tim's journey before his first day at Excelsior — Dec. 16, 2015 — is not unique. The problems arose almost immediately. First, running away. Then charges of criminal trespass, escape and vehicle prowling. Then felonies, like burglary and assault. Nowhere else did he have a problem with running away, so why did he and the other kids run away at Excelsior? "They do it because they end up on the streets, and because they don't want to end up going back to Excelsior," Tim tells the Inlander. "And so they're pretty much turning into criminals on the streets, because Excelsior's not a good place for kids." Tim says he ran away because he didn't feel he was getting helped, he didn't feel safe and he didn't feel respected by the staff. He burglarized because it was how he survived on the streets. He assaulted others because he didn't have the tools to control his anger. "Me, whenever I got pissed, or whenever the hell I felt like it or wanted to have a cigarette or something, I'd just walk out the back door and leave." When Tim was released from jail in February 2017, he found out that Excelsior didn't want him back. Hill says that not taking a kid back is the "most laborious decision we make," though he was not talking specifically about any individual child. They pull the entire treatment team, maybe 25 people, and look at the data and the kid's history, and if there's any chance for engagement at Excelsior. "It's the toughest decision we make," Hill says. "[We don't welcome them back] if their behavior choices become so unsafe that it's compromising the safety of the kids who are engaged. It's kind of one for community preservation. I can't think of a time when that decision didn't involve preserving the community that is engaged [in treatment]." So Tim was told that he would be sent to Iowa. His first thought: "Next time I see my social worker, I'm gonna punch him in the face." On a cold February day, as his social worker drove him from a doctor's appointment, Tim opened the car door and jumped out, refusing to get back in as long the state planned to send him to Iowa. The social worker reported him missing. Tim spent a couple of weeks on the streets near Shadle Park. He messaged his mom on Facebook, asking for her address because he wanted to send her something. In reality, he was on his way to see her. He didn't know exactly how to get there, so he asked people which way to go. Taking a bus wasn't an option — he thought the police would find him that way. Though he hitchhiked some of the way, he mostly walked, because he didn't trust people. He says he didn't eat or sleep for three days. For water, he went to gas station bathrooms and drank from the faucet. Three and a half days later, he showed up on the doorstep of his mother's trailer at 3 am, in the rain, with holes in his shoes, blisters on his feet and tears running down his face. "He just kind of fell into my arms, and we cried together," Haines says. "Fall into your arms?" Tim counters. "I fell on the couch." Andrew Hill took over as Excelsior's CEO in early 2016. From a legal standpoint, Tim escaping from the state's care and trekking through the wilderness for days to find his long-lost mother wasn't OK. There's a process for a foster kid to return to their mom. Kids can't just escape and choose where to live. It was "not the right way to achieve a goal," said a DSHS social worker at the March 30 hearing. Maucione, Tim's attorney, filed a motion for the court to let Tim stay with his mom, but DSHS had some concerns, given the history of Haines' children being exposed to domestic violence. But Tim's mom, after having another child who is now 3 years old, had straightened things out, the court agreed. So commissioner Rachelle Anderson, presiding over the case, had to choose. Either Tim would be placed in Iowa, as the state recommended, or he'd be allowed to stay with his mom, where he was already doing well in school, did everything his mother asked, and had counseling appointments scheduled. While Anderson didn't want to give the impression that self-help was appropriate, she ultimately went with the decision that Tim made — not the state's preference. "It unfortunately seems that not the best decisions were made for Tim," Anderson said. "Because I don't feel that Excelsior was a good fit for him." The state, however, is facing a foster care placement crisis, making it difficult for good homes for foster kids to be found at all. From 2009 to 2012, the total budget for out-of-home foster care was reduced by $50 million, according to DSHS. The number of licensed foster homes has been on the decline since 2010. This affects children of all ages, but there's a particular lack of options for children first coming into the state's care. It's gotten to the point that on the west side of the state, children are sometimes being housed in hotels. Idaho and other states are going through a similar crisis. The Idaho Department of Health and Welfare, in a February report, says the shortage of foster parents is getting worse, and social workers have had to resort to out-of-area placements more than in the past. Idaho also lacks any group home offering the array of services for foster kids that Excelsior does, says an Idaho Department of Health and Welfare spokesperson. The budget cuts in Washington have also contributed to a lack of BRS facilities in the state. "From 2008 until now, we've lost hundreds of high-end BRS options for kids. That whole menu of options has shrunk substantially," says DSHS' Lambert-Eckel. "We are very, very much slim on the high-end part of our continuum." The department wants to incentivize more facilities to help the placement crisis, Lambert-Eckel says, and that means a budget that pays a higher rate for facilities to treat high-needs kids. The state pays up to $7,546 per month for a place like Excelsior to treat a kid. That's compared to a maximum of about $1,500 per month for a foster home. But those facilities receive about 85 percent of the actual cost to treat the kids, so nobody wants to open another facility. If there were more options, the argument goes, then fewer kids would be sent out of state. "We have too few BRS providers, for sure, and that's driving this level of out-of-state placements," Lambert-Eckel says. Yet there's another side to the debate, coming from people who feel that facilities like Excelsior produce negative outcomes that sometimes result in out-of-state placements. Ressa, the court commissioner, says the state should be more supportive of smaller group homes and single-family homes. Instead of waiting until a kid bounces to a dozen placements before going to a group home or larger facility and becoming a criminal, there should be more early intervention with highly skilled caretakers. "Until you can show me that those sorts of institutions work, why would we build another one?" Ressa asks. Patrick Dowd, director of Washington's Office of the Family and Children's Ombuds, says the way to reduce the use of group homes is to have more therapeutic foster parents, who are trained and experienced and recognize the needs of older children with trauma or mental health issues, but that would require up to 1,000 more foster homes. He recommends that more group homes use the Mockingbird Family Model, which features a "hub home" that provides assistance to other foster homes when it's needed. Ryther, in Seattle, has already moved to implementing that model. In 2013, the state settled a class action lawsuit calling for reform of the mental health system for children. It was supposed to ensure that the state establish a new program called "Wraparound with Intensive Services," or WISe, to treat more kids at home and prevent kids with mental illness from ending up in hospitals, institutions, foster care and juvenile detention. But Dowd says he has seen little improvement since the settlement. "We should be more proactive in providing mental health services for children who enter the child welfare system because of abuse or neglect," he says. For Excelsior's part, Hill says they are working to improve outcomes for kids by changing the model and adding more activities to make their stay more enjoyable. While he maintains that Excelsior benefits most kids, he says it's true that 10 percent simply don't accept treatment, and they're trying hard to reach those remaining kids. The goal for Excelsior, Hill says, is to provide more "brief interventions," meaning a kid would stay with Excelsior for 72 hours and Excelsior could assist the family in the home. That would help accomplish the goal of providing more services for kids at an earlier age. It could serve to expand residential treatment options for at-risk youth, but shorten their stay at such facilities. "What is true, today, is that Excelsior is part of a wave across the nation in understanding that residential services can be delivered in a different way, and stabilization can occur," Hill says. "And Spokane has one of the most cutting-edge, innovative ones in their backyard." Tim Moore with his mom and little brother. Tim, now 16, lives about as normal a life as he could ask for with his mom in Montana. She bakes cookies when he gets home from school as his little brother plays with Play-Doh. In school, Haines says he's getting A's and B's, and he even corrected his math teacher in front of the class. He has sleepovers with friends, plays sports, and draws pictures that are hung on the fridge. When his mom hears him curse, she warns him about his language. He rolls his eyes and obeys. The anger at those who wronged him remains. For the relative who Tim says abused him, and the man who abused his mom, he repeats threats to do them harm if he ever sees them. As commissioner Anderson warned in March, there are still challenges ahead. "It isn't going to be easy," she said. "But it looks like you definitely have your ducks in a row." For those who work with Tim, like Maucione, his attorney, it's an argument that families should have more support like wraparound services, and that the state should try harder for reunification with the family even if it's imperfect. It's cause to rethink a system that for many kids results in a dozen different placements, each a bit more restrictive than the last, before they end up in a group home or BRS facility long-term and turn to crime.